What Does the Term iOS Mean? The term iOS was used by Apple as a shortened form of the term iPhone OS – or the iPhone Operating System developed by Apple Inc. and used to power its iPhone mobile phone. There are many ‘operating systems’ available, including Microsoft’s Windows and the original DOS (Disk Operating System) used by the first IBM and Microsoft personal computers. iOS is used exclusively to run Apple hardware such as the iPhone, iPad, iPod Touch and now the iPad Mini and iPad Pro – all of them mobile iOS devices. You can get the latest updates for iOS through iTunes. If you are using iOS 5 or later, you can update using OTA (Over The Air) services. You can expect a new version of iOS to be available free with every launch of a new iPhone. An iOS device can be defined as a mobile device: iPhone, iPad, iPod Touch, and various versions of iPads that use the same iOS operating system. Apple Macs and MacBooks use the OS X operating system. A new iOS version: As examples – iOS 9 came after iOS 8.4.1 to provided support for, among others, the 4th generations of both iPads and iPad Minis. Such versions are often associated with hardware changes or new hardware products, so iOS 8 was launched alongside the launch of iPhone 6 and iPhone 6 Plus. An update of a version: Such as iOS 9.2 came after iOS 9.1: Often to deal with bugs or manage minor changes to software/apps, but also minor changes made to support particular apps or features. For example, in 9.2: Siri support was extended to the Arabic language and many stability and data display issues were sorted. 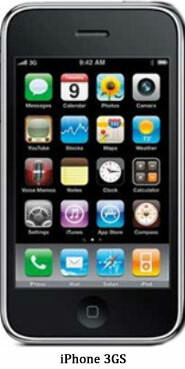 It was only in 2008 that Apple gave an official name to the touch-centric iPhone operating system. Prior to that, Apple referred to it as a ‘version of OS X’. On March 6, 2008, Apple launched the iPhone SDK – the iPhone ‘software development kit’, and named the phone ‘iPhone OS.’ It was not until June, 2010 that the designation iOS was officially used. The designation iPhone OS 1 was used until July, 11 2008 when version 1.1.5 was replaced by OS 2.0. When Apple released the iPhone 3GS on June 17, 2009, it was accompanied by another upgrade to the operating system: iPhone OS 3.0. New features were the multimedia messaging system (MMS) and ‘copy and paste.’ Not all original iPhones could use these features, only those using iPhone OS 2.x being upgradeable. Version 3.1.3 was the final version to support the latest version of the original iPod Touch and the original iPhone. Version OS 3.2 was used to launch the iPad and it became clear to Apple that a change in nomenclature was needed. The iPhone OS terminology no longer applied only to the iPhone, but also to the iPod Touch and the iPad. A decision was made to switch the name from OS to iOS. OS for main computers: MacBooks/Apple Macs and iOS for mobile devices: phones, tablets and iPods. This change was made from June 7, 2010 and the iPhone OS 3.1.3 was the final release to use the old nomenclature. It was also the last version that supported upgrades to the original iPhone and iPod Touch. Apple’s support for version iPhone OS 3 ended towards the end of 2012. This change was made on June 7, 2010, when the iPhone OS was changed to the iOS system. The first major release of the operating system to be named this was referred to as iOS 4 which was released on June 21, 2010. Prior to this, the “iOS” trademark was owned by Cisco – and Apple paid to license it for its own use. Support for the original iPhone and iPod Touch devices was now dropped. This operating system was used for the iPhone 3GS, iPhone 4 and the 3rd and 4th generations of iPod Touch. These models now have multitasking and home screen wallpaper options available, not available to users of the iPhone 3G or the second generation of iPod touch. iOS 4.2.1 included compatibility with iPad – one of the original reasons for the switch from iPhone OS terminology. This was released in November of 2010 and was the operating system used for the iPad 2. As stated above, iOS 4.2.1 was final iOS release to support the 2nd generation of iPod Touch and iPhone 3G. This version of the iOS mobile operating system was designed to operate the iPhone 3GS and iPhone 4. The latter is compatible with both the CDMA (network-specific and not using SIM cards) and GSM (SIM card) mobile communication protocols. It also runs the iPhone 4S, 3rd and 4th generation iPod Touch and both iPad 1 and 2. It was released on October 12, 2011. This is the final release that supports 1st generation iPads and 3rd generation iPods Touch. 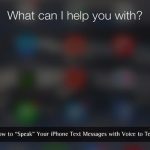 One of the major new software applications with iOS 5 was the Speech Interpretation and Recognition Interface – known generally as SIRI (now Siri). This enables spoken commands to be understood and responded to by a female voice and was introduced with the iPhone 4S. iOS 5 also introduced iCloud to the iPhone and wireless syncing with iTunes. Previous Apple operating systems required a hard wire connection to a PC. iMessage, previously available on the iPhone, was made available to iPads and the iPod Touch. In May, 2012, iOS 5.1.1 brought Siri support to 4th generation iPads. Released to the public through iTunes in September 2012, Apple iOS 6 supported all new Apple mobile products along with limited and final support for iPhone 3GS, iPod Touch 4th generation and iPad 2. iOS 6.1.6 is the final release of this version that supports iPhone 3GS and 4th generation iPod Touch. Siri has been upgraded and now offers a better information service and she is now introduced to the new iPad 2. The functionality of Airplay was improved and the options available for an incoming call have been updated. Rather than Accept or Decline, you can now swipe to provide an auto reply message (Reply with Message), or to send you a reminder of the call later (Remind Me Later). Facetime is enabled over 3G and 4G, and Facebook integration has been improved. iOS 6 offers lots of Facebook-friendly functions. The Maps app has been updated to render it more competitive to the Google Maps feature on Android machines. ‘Flyover’ is a 3D view of the Maps app. In September, 2013, Apple released iOS 7 at the same time as announcing the release of their two new products: iPhone 5C and 5S. The release again stressed the dropping of support for older mobile products. Devices supported on iOS 7 include iPhone 4 upwards, 5th generation of iPod Touch, iPad 2 upwards and the iPad Mini – first generation and onwards. iPhone 4 support ended with iOS 7.1.2.
iTunes Radio offers a free online radio service, focusing on the type of music you prefer on iTunes. It is approaching Spotify functionality – but a long way to go yet! If you use AirPlay, and the system detects an AirPlay device on the network, then it displays an AirPlay button. The Notification center now has three screens: one (Today) for today’s tray of tweets, emails, texts and other notifications, one for ‘Missed’ alerts plus the original ‘All’ screen. Notifications now sync over all your Apple devices. Another innovation on iOS 7 is the new Activation Lock. Thieves are no longer able to activate your phone if you lose it – it is locked until your Apple ID is entered. There are many other new aspects of iOS 7.1.2 that you can explore and enjoy. OS 7 supports iPhone 4 up to v 7.1.2 and iPhone 5 after that. In September 2014, Apple presented the iPhone 6 and iPhone 6 Plus, while also announcing the forthcoming release of iOS 8 for September 17, 2014. Support of iPhone 4 was dropped, though iPhone 4S was supported by iOS 8. The iPad 2, 5th generation iPod Touch and 1st generation iPad Mini were also supported, though in a limited fashion. Versions stopped at iOS 8.4.1.
iOS 8 introduced the concept of Family Sharing. It seemed to start when Apple recognized that owners of multiple Apple devices would prefer it if every device did not ring whenever they got a call. Through ‘Family Sharing’ Apple allows sharing of content between different Apple accounts. It permits up to six persons to share content and purchases from Apple stores. So any member of your family can download the same app on their own device and use it at no extra cost, Initially, this involves material from the iTunes, iBooks and the App stores purchased using the same credit card. Later, iOS 8.4 will remove music from this arrangement, perhaps because this release introduced the music streaming service Apple Music. OS 8 also introduced some improvements to Siri to make it more reactive to communication. iOS 8.1 was released in October, 2014 and enabled better integration with the iOS X Yosemite on Apple Macs. However, it got many bad reviews from users, many believing it was released too quickly. Nevertheless, it did bring Apple Pay and one or two useful WiFi fixes. iOS 8.2 sorted many of these reported issues. iOS 8.3 solved more WiFi issues and also battery drain problems. The major new version of iOS 8 came with iOS 8.4 that introduced Apple Music, Apple’s new music streaming service. This release incorporated Beats Music, purchased along with Beats headphones, by Apple for $3 Billion. Apple will finally pull the plug on Beats Music in 2015 and its users will have to transfer to Apple Music to retain their libraries and playlists. This version was initially released on September 16 2015 to support the iPhone 6S, 6S Plus and the iPad Mini 4. Find My Friends and Find My Phone is preinstalled with this release, and features offered with Maps have been significantly increased and enhanced, and you can export data on an Android device to an iPhone. What else comes with iOS 9? More Siri developments to improve your answers to questions, and Siri can now answer questions before you even ask them! Not quite to the level that you just have to think them – but that will come! iPad Split View allows you to have two apps open and active at the same time on a split screen! You can watch soccer or your favorite TV show while you receive and answer an email. Home Kit offers the ability to control certain electrically operated devices and services from your phone. You can open and close curtains, control lighting and switch other electrical appliances on and off. If you prefer it, these functions can also be voice-controlled using Siri. Home Kit also enables you to set timers, so your water heater and bathroom heating kick in an hour before your alarm goes off. There are many more amazing settings available with Home Kit. If you think you have forgotten to lock your door when you left home you can instruct the locks to close through your iPhone. In fact, you can set up a ‘Leaving’ function that shuts down all chosen appliances, lighting, heating, etc. and also locks the doors when you leave home. iOS 9.0.1 and 9.0.2 + iOS 9.1 and 9.2: Considering the complexity of functions offered with this new iOS release, it should be surprising to know that the initial releases of iOS focused on fixing problems with the initial version and improving the functionality of several of its features. iOS 9 was plagued with bugs and other issues after release, and perhaps more time could have spent in Beta to hunt these down. iOS 9.3: This version was released initially on the iPhone SE and the 9.7-inch iPad Pro. It improves the News feature, and also the Health app, and also introduced Release 9.1 of the Safari browser. Night Shift is a new app that adjusts the display color temperature to make it easier to view at night. A new Classroom app enables teachers to offer lesson guidance, set quizzes and tests and display their work using AirPlay and Apple TV. Individual students can be given their own login details for a school iPad. This version enables multiple Apple Watches to paired to your iPhone. iOS 9.3.1 and 9.3.2: Again focus on fixing general bugs and problems, such as performance and stability issues involving apps hanging up after tapping on links in others apps and on links in Safari. iOS 10 offers a number of new features. Which of these are important to you depends on your requirements, but here are some of the changes you will see in this update. Raise to Wake: You now only have to lift up your device to waken it up and go straight to the Home screen. There is no need to press any buttons to get going and reaching your Home screen. You can now remain in the lock screen to reply to messages and accept invitations. Also, taken from Apple Watch, You can use 3D Touch Press to clear all your notifications. Artificial Intelligence: Google has applied AI to various functions, including more sophisticated typing prediction suggestions than are currently available with Quicktype. Apple has fundamentally applied Siri intelligence to a number of other functions, typing prediction being one of them. Another is Photos, where iOS 10 can use AI to link photographs and videos by means of place, time and even the people featured in these. Phone App Update: The Phone app is updated to enable voice mail messages to be converted to text. You can then read voicemails if you are busy rather than having to listen to them. Lost Your Car? : iOS 10 offers many more new features. One is help you remember where you parked your car – if your car comes with CarPlay. It’s not always easy to remember where your car is, particularly if you are parked in a strange town or city, or in a multi-level park where every level looks the same! Using Apple Maps, your iPhone will remember where you parked the car and give you directions to find it. iOS 10 has many more new features that will make life much easier for you. The only way to find how they work for you is to upgrade to the iOS 10 operating system and play around with it. This history of the evolution of iPhone and iOS system shows how Apple has developed and progressed its operating system for its mobile devices. Its major competition comes from Android (e.g. Samsung) and to a lesser extent, Windows, with respect to the management of mobile technology. For now, Apple leads the field and they will continue to do so if the company maintains its progressive development of iOS and becomes more proactive in dealing with problems reported by customers. The above history of the iPhone OS shows how the Apple iOS has developed. No doubt it will continue to expand in the continuing struggle between Apple, Samsung and others to hold the #1 position in mobile technology. iPhone always upgrades their OS and make the iPhone better than the all other phones. and I am waiting for iPhone 7 to release so that I can purchase it. 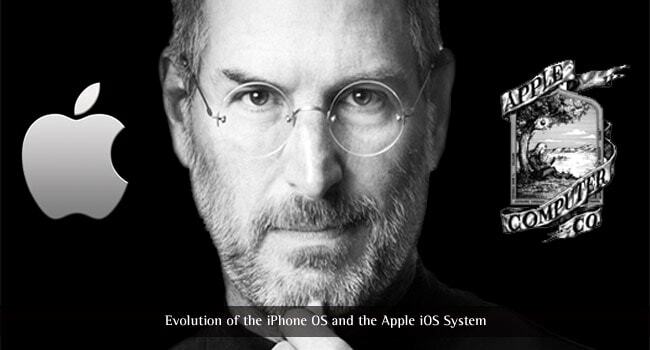 A really nice overview of the origins of iOS including what we can look forward to in 10. Nice work! This is one of the best posts. I have started using iPhone from iOS 4. BTW, really liked the detailed information about iOS. Great article!! The information on iPhone OS is very informative for beginners.